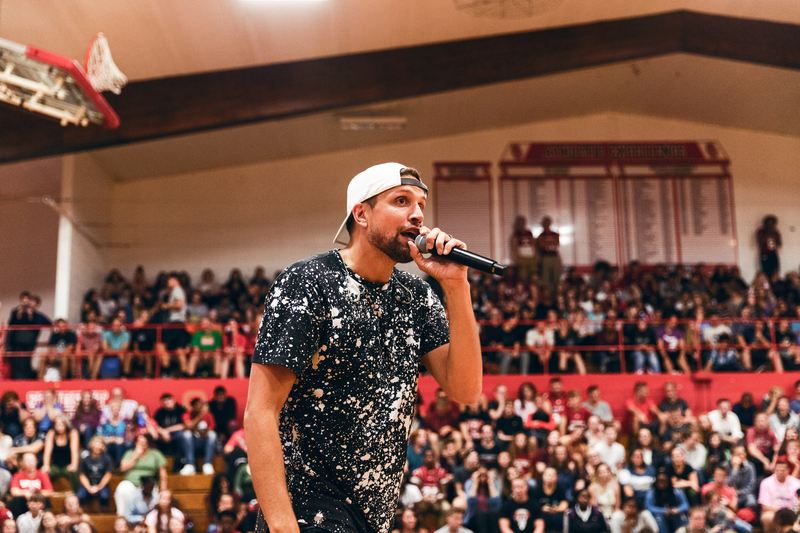 Inspire your students with Beacon's powerful message: "Love Haters"
Beacon Light is an award winning hip hop artist who has landed multiple songs on the Billboard Top 30 Radio Charts. His music video, "Haters," won Best Video of 2016 in the We Love Music Awards. His songs have been featured on the NFL, Netflix, FOX, and Starz. He has performed alongside Grammy winning artists and tours the United States sharing his music and message. During his assemblies Beacon connects to students through music and powerful stories. His message challenges them to change their communities for the better and treat each other with respect. As of 2018, Hip Hop is officially the most listened to genre in the United States. Chances are many of your students are listening to it. However, Hip-Hop is not only popular, it's also powerful. Every song is packed with lyrics which can influence the thoughts, emotions and even actions of students. As a hip-hop artist and speaker, Beacon sees this as an incredible opportunity to make a positive impact. When hip-hop is brought into a school assembly, there is an immediate connection for many young people. They can relate and, in turn, they listen. Q: IS BEACON'S PRESENTATION SAFE FOR THE PUBLIC SCHOOLS? A: Absolutely. The message contains absolutely NO swearing, religious content, etc. Q: HOW LONG IS BEACON'S PRESENTATION? A: One hour (this includes a short Q&A session, which is always valuable for the students). A: No fee is set in stone for Beacon to present to your students. We would love to work with you to make a huge impact while staying within your budget. Q: I'D LOVE TO HAVE BEACON PRESENT TO MY STUDENTS! HOW CAN I REQUEST HIM? A: Fill out a contact form below and we will be in touch soon!